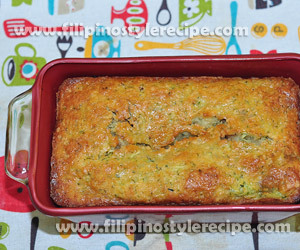 Filipino Style Recipe: This zucchini bread recipe is very moist and flavorful. Guess my favorite part? The slightly burnt edges! So dont worry about burning it a bit on the outside, it still comes out moist on the inside. 3. Blend the wet mixture into the dry mixture alternately with the sour cream until just combined. 4. Stir in zucchini until well combined. 5. Pour batter into lightly greased 9×5 inch loaf pan. Bake in preheated oven at 350 degrees Fahrenheit for 60 minutes or a toothpick inserted into the center comes our clean. 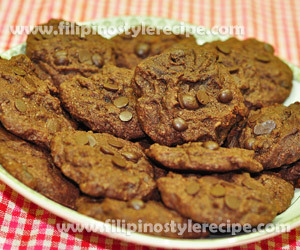 Filipino Style Recipe: This chocolate chip cookies recipe gives you a double dose of chocolate goodness. 1. 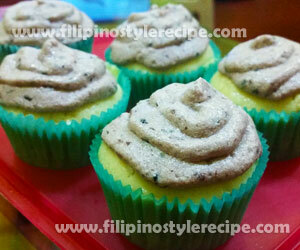 In a large mixing bowl, beat margarine and sugar until light and fluffy. Add eggs and vanilla extract and beat again until well combined. 2. 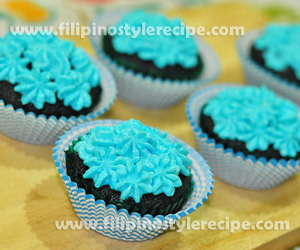 In another bowl, combine flour, cocoa powder, and baking soda. Add into the batter and mix well blended. Fold in the chocolate chips. 3. Drop by rounded teaspoonfuls on ungreased cookie sheets. 4. Bake in preheated oven for 10 minutes at 350 degrees Farenheit.Remove from the oven and cool for 3-5 minutes before transferring to wire racks to cool completely. 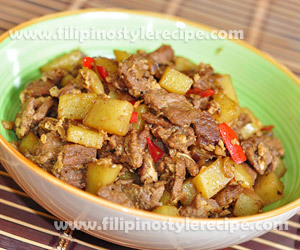 Filipino Style Recipe: Breakfast Beef and Potatoes is a simple breakfast beef dish similar to adobong giniling. The dish is consisting of marinated beef sirloin cut into thin strips then cooked together with diced potatoes. 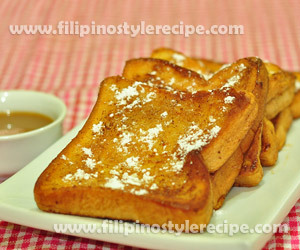 Best to serve during breakfast together with fried rice. 1. Marinate beef for at least 30 minutes. 2. In a pan, heat oil and fry the potatoes until slightly brown. Set aside. 1. In a same pan, heat oil and saute garlic, onion and bell pepper. 2. Add marinated beef then cook until light brown. 3. Add marinade, herbs, and chili flakes. 4. Simmer for 10 minutes then adjust seasoning according to taste. Add water if necessary. 5. Add fried potatoes then cook until sauce is thickens to nearly dry. 6. Remove from heat then transfer to serving bowl then serve with steamed rice. 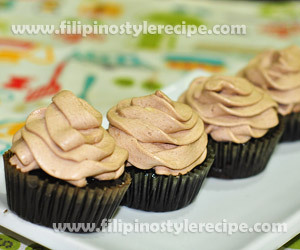 Filipino Style Recipe: Chocolate French Rolls is a simple yet special bread dish that can be served together with hot coffee. The bread flatten then fill with chocolate spread. 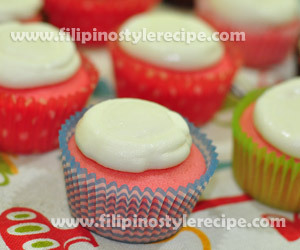 Roll then dip in egg and milk mixture. 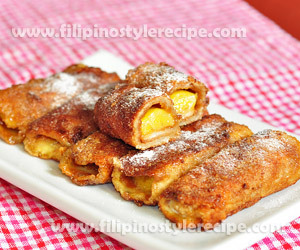 Coated with sugar and cinnamon powder then fry until golden brown. 2. Fill each slice with chocolate spread. 3. Add 1/2 teaspoon corned beef then roll the bread tightly. 2. 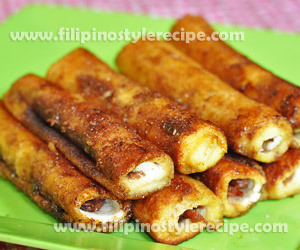 Lightly fry each roll until golden brown. 3. Roll in sugar-cinnamon mixture. serve immediately with hot coffee.